What’s The Worst Car Review You’ve Read This Year? Some car reviews just aren't sufficiently grounded to the ground. I'm, like, really super eloquent when it comes to cars. Like, basically every word that I write is, like, the Shakespeare of car… uh… writing. Did you ever notice that all my posts are in iambic pentameter? ~makes ya think~ Sadly, not everyone is blessed with the natural talentz I possess. 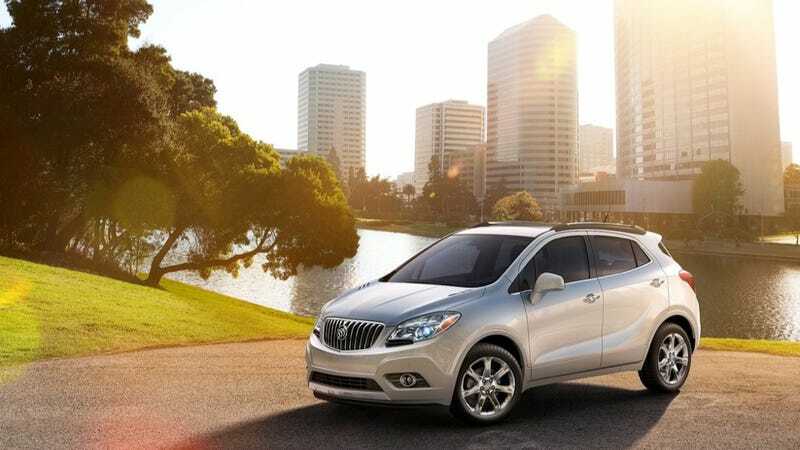 In fact, just today I read a review of the Buick Encore over at Autoblog. Now, I'm not one to hate on Autoblog — I need my Camry news from somewhere — and I'm not going to say that this is actually the worst review of the year. (I didn't actually finish it, I was too bored to continue reading after the scintillating section on the seat frames it shares with the Chevy Sonic). But I'm nominating it if for no other reason than this quote: "Burdened by the Encore's luxury lashings, the Ecotec just ain't country strong." What? I can't even. As I don't want to suffer through anymore awful car reviews, I need you to leave your suggestions in the comments below. Choice quotes are welcome.